i promise i have original content myself, but Nathan is posting some great work going on in keny right now and i need to share the love…enjoy! This past week we had a job to finish and thanks to a caring heart back in California it’s done. 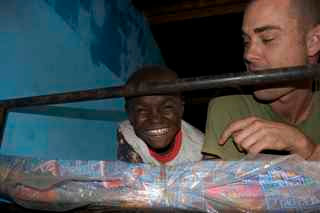 As you might have read from the previous blog, the boys were left out at Good Shepherd. We took 6 mattresses to the girls but did not have enough money for the boys. The boy’s beds were just as soiled and nasty. The boys were happy for the girls but definitely bummed. I heard recently that a good friend from St. Tim’s days, Sharon Dekker-Pisani, wanted to contribute to our work here. She had come to my Mom asking how she could help. This allowed me to go in search of mattresses in Maai Mahiu immediately. I guess you ask and it will be provided. 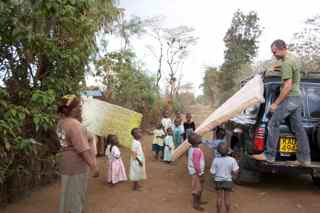 I have included some pics of us in search of the mattresses and delivery to Good Shepherd. 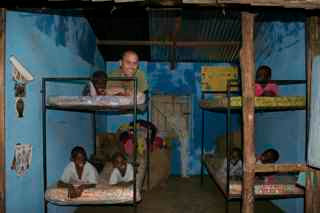 Yes, that is me on the top bunk. After the delivery, I thought, maybe I could sleep here now? But I think the boys would be a little cramped from my long, lanky self. When we showed up, the boys kept saying “Bless you Nathan”. But really this blessing goes out to Sharon. I wanted to take a moment and thank you. It has always been contributions from the individual who have made CTC work in Maai Mahiu possible. So thank you, Sharon, from me and especially the boys of Good Shepherd.